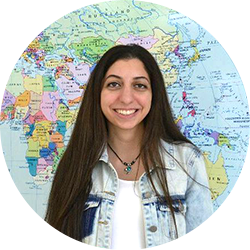 We invited IB Diploma Programme (DP) graduates to reflect on their lives and studies. Learn more about the IB Alumni Network at ibo.org/alumni. People often ask me how was I able to achieve a 42 IB diploma score, and having answered that question many times now, I can say it’s sometimes difficult to convince people that I haven’t done anything special or extra than what most students did through their IB journey. With May 2017 examinations being just around the corner, here are six tips for IB students putting their knowledge and skills to test in a few weeks. Any IB student or graduate would tell you that the number 1 skill they’ve learnt throughout their journey is how to be organized, and how important it is. Being organized helps you see things clearly and puts everything into perspective, and enables you to meet deadlines effectively. Now that you have mastered this skill after submitting your internal assessments and essays, you should apply it to your exams schedule. Plan a schedule that would give each subject its right amount of time, not every subject will require the same preparation, so know which subjects you need to focus on the most and which ones will require the most amount of time in your schedule. Some people like to start preparing for the exams they have first, others like to start preparing for the exams they have at the end and finish off with the ones they have at the beginning, so know which type you are and apply it to a schedule that you won’t have to change frequently. Now is certainly not the time to study for every topic as if you’re studying it the first time! Trust yourself and trust that you have learnt the topics several times enough, for you to do a quick review covering all topics of the subjects and focusing only on the topics which you find yourself weak in. If you finished your Mock exams already, take the feedback from your tests and see which areas you still need to improve and focus on them. Dedicate more time to solve exam papers, utilize the Question bank and make sure to solve every paper as if you’re solving it in your actual external exam, with time constraint and resources allowed to take in for that exam, like the subject guide or a calculator. Practicing solving exams makes you more familiar with the format of questions, especially that the IB exam style is usually the same, and makes you faster in solving which ensures that you have effective time management skills needed to finish a paper within a limited time. Before exams, make sure to schedule small breaks in between your study blocks, as your mind cannot focus the whole time and you need to de-stress and clear your mind every couple of hours, to focus again and recall information. Set a time limit for your break, a ten-minute break every 90 minutes or 2 hours is effective and more than enough. Use it to do something that will re-energize you without leading you to procrastinate or waste your time, like exercising or a short walk, as you should go back to studying directly after your break without any excuses to putting studying off or thinking of how much is left. During exams, it is also very important to try to relax the night before your exam, you might do a quick review or solve some questions, but make sure that you get enough sleep the night before, and that you have a good breakfast before you leave to your exam the next morning, as this will help you in concentrating efficiently. I cannot stress enough how crucial it is to turn off your mobile phone, the TV, and any social networks that will distract you while studying. You might think that it won’t harm replying quickly to a WhatsApp group chat or checking your Instagram/Facebook account, but this will only lead you to waste hours that you could spend on effective non-distracted learning. This should not mean that you should go offline until you’re done with your exams, just make sure that you log in once you’re done studying for the day or in your breaks. And remember, your TV series, programs and movies can wait, with today’s technology you can easily watch all programs as many times as you wish, once you’re done with your exams. Give every exam paper its own share of focus, and do not dwell too much on an exam which you think you haven’t done well on. Although it’s very normal to feel upset when you don’t do well on one paper or one subject, this should not consume your time and effort, you will still have other exams that will need your full attention. Stay motivated and give it your best, after all the grade will not be fully allocated based on the external examinations only, you still have your internal assessments as well. Exams time is definitely exhausting, both physically and mentally, but take this phase easily and enjoy it while you can, after all it is an experience and a phase of your life. Trust yourself and your capabilities, you’ve been doing exams for many years, and although these exams are decisive for the majority of students who are relying on their grades to get a University admission, they are not very different from any other exams that you’ve done previously. No matter what the result is, be proud of what you have achieved, for after all the goal of the IB program is to teach you for life, and not just for your external examinations. Wishing all May 2017 candidates the best of luck in their upcoming IB examinations, and all the best for their future!